In a 2012 piece in The New Yorker, Emily Nussbaum called the cliffhanger, that mainstay of serialized storytelling, “a climax cracked in half.” It’s an excellent description. A good one hits with a thrill that’s equal parts frustration and gleeful anticipation, leaving its audience giddy from the dopamine rush and, in some cases, a bit pissed off. Both reactions are understandable, sometimes unavoidable. A cliffhanger hinges on telling some, but not all; withholding is part of the equation. That’s what makes the second season finale of NBC’s “Timeless” such a delicious example of the form. It’s a cliffhanger that doesn’t withhold. There’s still suspense, still plenty left unknown, but the thrill isn’t in an unanswered question, but in sheer possibility. It’s still a climax cracked in half, but the break has moved. On one side, a reveal that changes everything. On the other, nothing but potential. “Timeless” isn’t the first show to pull off this kind of magic trick, but it’s magical all the same. If it doesn’t get renewed, people are going to lose their minds. Created by Shawn Ryan (“The Shield”) and Eric Kripke (“Supernatural”), “Timeless” is, in many ways, a pretty familiar time-travel story. A bad guy steals a time machine. A team comes together—engineer Rufus (Malcolm Barrett), elite soldier Wyatt (Matt Lanter), and historian Lucy (Abigail Spencer)—to stop him with a machine of their own. 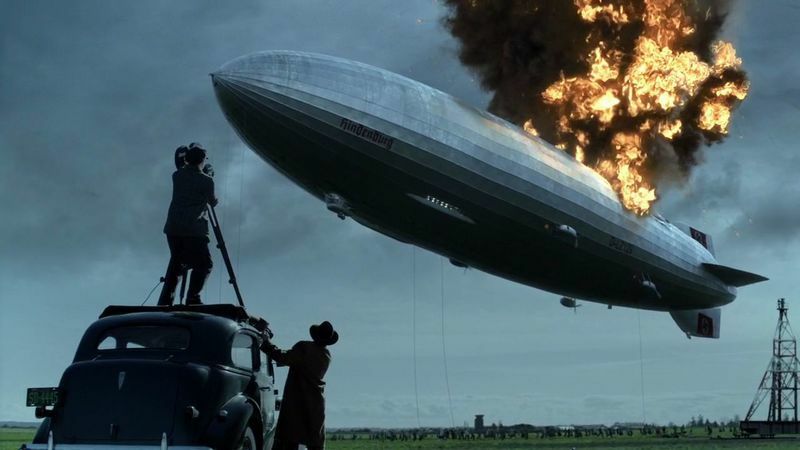 Before pilot’s end, aforementioned villain Garcia Flynn (Goran Visnjic) shows off a diary that Lucy writes in her future, which is apparently his past; after departing the scene of the Hindenburg disaster for their present (naturally), they discover that Lucy’s cancer-stricken mother is now hale and hearty, and her sister has ceased to exist. Not a bad cliffhanger there, either. The first season was pretty good, but it almost didn’t get a second. 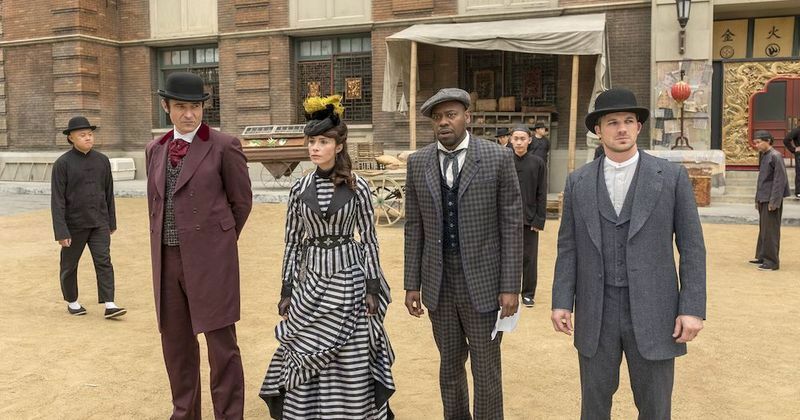 The brush with death seems to have reinvigorated “Timeless.” The second season is leaner, smarter, and funnier, its stories more focused on people and moments than scale and scope. The humor is particularly striking—the jokes are still sometimes goofy or gleefully nerdy, but more often than not, they’re tinged with something more weary and wry. That frankness is echoed elsewhere throughout the season, but nowhere more than in that final cliffhanger. If you haven’t seen the season two finale of “Timeless” and would like to do so, now’s your chance to turn back. In “Chinatown,” the excellent second half of a two-part finale, someone dies. The impending murder of Barrett’s Rufus looms over much of the second season, glimpsed in scattered visions of the future by his girlfriend, Jiya (Claudia Doumit). The prophesied moment of doom arrives, but the pair come through the unscathed, only to have a bullet tear through Rufus minutes later. It’s an effective death scene, not least because that matter-of-factness crops up again. All seems well, then there’s a bang. No final words, just some fear and pain and confusion. Then he’s dead. Rufus is arguably the show’s most lovable character, the kind of figure you just don’t kill, not in season two, not even in a time-travel show. As the team grieves in our present, having left the body of a friend in the past, there’s a commotion. A time-machine pops out of nowhere, right next to a slightly younger version of itself, and out of it emerge a bearded Wyatt and a battle-hardened Lucy, staring down frankly at themselves. “Timeless” has, like almost all time-travel shows, some rules it doesn’t break. Not crossing into your own life is the biggest of them; another, not changing past events, got tossed out the window more and more often as the characters grew impatient with injustices they couldn’t right. So when future Wyatt and Lucy show up, it’s a cannonball through the center of the series, a complete rejiggering of the rules, landscape, and intent of the whole shebang. On one side of the break, a dead friend, a losing team, and a bunch of rules. On the other, nothing but potential. When “The Good Place” debuted in 2016, it demonstrated its affinity for cliffhangers right away. Creator Michael Schur famously talked to Damon Lindelof as he was developing his philosophical afterlife sitcom, and it shows—cliffhangers and complications are as much a part of the DNA of “The Good Place” as they were of “LOST.” In hindsight, each of those cliffhangers—flying shrimp, Jason Mendoza, Eleanor’s confession, the Medium Place, and so on—was laying the groundwork for the big one. “Michael’s Gambit” is one of the great season finales of the century, both because it’s a terrific episode and because its cliffhanger, like the “Timeless” season two cliffhanger, offers not questions and withheld answers, but endless possibility. 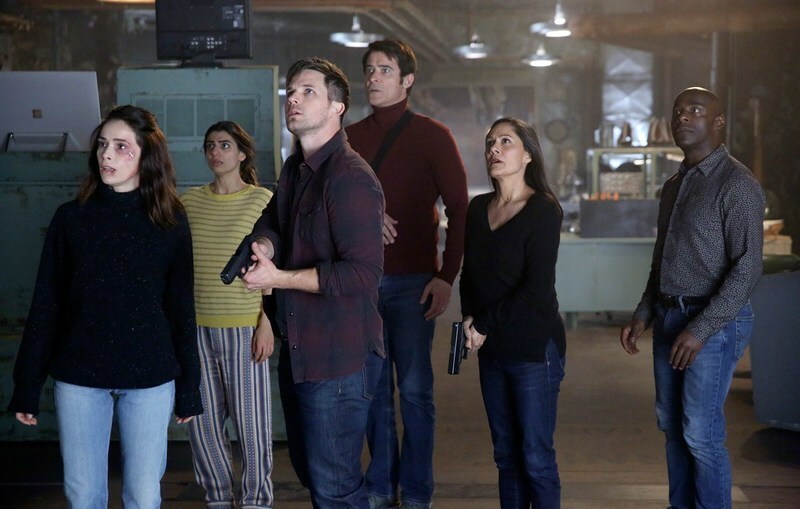 It’s an episode that sent many (this writer included) back to the pilot to see how many clues we’d missed—the same is true, to a lesser extent, of “Timeless”—but “Michael’s Gambit” also spurred endless speculation about what was coming next. And here’s the important distinction between finales like those discussed above and many others: The speculation isn’t guesswork, it’s imagination. Sure, it’s still possible to make a prediction about what finally convinces the Time Team to make such a trip, or about how Eleanor would figure out the secret of where she really was. But even those questions have big, fat, messy answers, or more accurately, lots of small ideas that may or may not add up to anything resembling the truth. Nussbaum wrote that the cliffhanger “makes visible the storyteller’s connection to his audience—like a bridge made out of lightning.” Some of those bridges are gorgeous straight lines, like the identity of J.R.’s killer, or when Riker fires on the Borg in “Star Trek: The Next Generation.” But for my money, the best show you where the bridge begins, but when you look up, there are dozens of walkways, like the branches of a vast tree stretching over the chasm of hiatus. Such things aren’t easily accomplished. “Alias” pulled it off at the end of its second season, in which all hell broke loose before Sydney found herself alone and two years in the future; “Breaking Bad” got there when Hank sat down on that toilet. “The Good Place” nailed it, and now, “Timeless” has, too. The cancellation of any promising show is a shame, especially when, as is the case with Kripke and Ryan’s gem, its heart is in the best possible place. But to axe a show right when it reaches such heights would be an incredible waste. That Kripke, Ryan, and their writers have been planning this since the beginning makes it all the more impressive—Spencer told Entertainment Tonight that “future Lucy” was part of what sold her on the series—but it would be a hell of a feat, regardless of circumstance. I don’t need to know if “Timeless” will save Rufus. Of course they will. But I want to peer down all those bridges, crossing that chasm with my own imagination, until “Timeless” finally shows me what new world exists on the opposite shore. NBC, please, let them get there.